Atai graduated from Imperial College of Science and Technology with a 1st class honours degree in chemical engineering and a PhD. He was awarded a prize for the best thesis submitted in the year, and it was during his PhD that his interest in statistics and modelling started. Atai is a Fellow of the Royal Statistical Society. Atai is a very experienced user of IBM Statistics (SPSS), including macros, and has passed the Professional Certification Program from IBM for giving training courses on IBM Statistics. He regularly gives talks at seminars, and to local secondary schools about ‘the interesting and varied life of a statistician’. Atai is a statistics, forecasting and simulation consultant with many years experience in a range of sectors including utilities, manufacturing, telecommunications, database marketing (B2C and B2B), customer insight, retail and wholesale, education, corporate reputation valuation, health and local government. He has carried out a wide range of projects in these sectors, ranging from developing PAM, see PAM System, a system concerned with the ‘cold hard’ world of asset reliability and asset management, to developing predictive models for the ‘warm soft’ world of common social problems such as homelessness, provision of foster care and youth offending. The common aim of all his projects is to use predictive analytics and other modelling methods for clients in creative and imaginative ways rather than only using descriptive statistics to enable them to gain deep insight, understanding and business advantage. In addition to answering the initial business problems, his work often raises additional questions and areas for investigation that were not apparent at the start of the projects. Mike graduated from Trinity College, Cambridge with an honours degree in engineering and gained a PhD in thermal power from Cranfield University. He is a Fellow of the Institution of Mechanical Engineers and the Institution of Engineering and Technology, and a Member of the Institute of Asset Management. 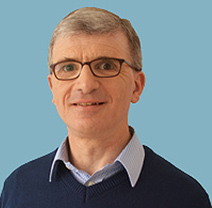 Mike has spent all his career in the modelling, simulation, analysis and management of physical assets, and the many business transformations that servitization involves. Mike started his career at Rolls-Royce where he worked on the modelling and analysis of civil aero-engine performance, aero-engine condition monitoring (where he won the Chairman’s Award for Technical Innovation in 2000 for his analytical contributions to Rolls-Royce’s COMPASS™ Condition Monitoring system), corporate strategic planning and advanced civil aero-engine and electric aircraft systems design. 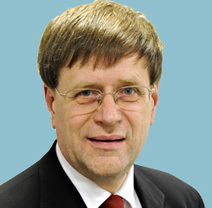 He then worked at Data Systems and Solutions, a Rolls-Royce spin-off company, on the applications of aerospace asset management techniques in areas such as railways, and then at Bombardier Transportation where he led the team that developed the engineering analysis and visualisation methods used in Bombardier ORBITA™, a world-leading railway asset management system. He then spent five years at Intelligent Energy, a company focussed on the development and commercialisation of fuel cell systems, where he was responsible for guiding the development and roll-out of a range of asset management techniques across the company’s automotive, consumer electronics and distributed power product lines. Mike has written a book, Everything Works Wonderfully: An Overview of Servitization and Physical Asset Management, about his experiences of asset management, monitoring, data visualisation and analysis for planes, trains, clean energy and human health. Barry was awarded a 1st class honours degree in statistics from University College London, a diploma in computer science from Cambridge, and then returned to UCL to do a PhD in statistics. Barry is a statistical consultant specialising in marketing analytics. For 10 years he was Director of Advanced Analytics for Teradata (UK), where his role involved demonstrating ways to exploit data stored in data warehouses in order to generate business value. He has worked with customers in retail, telecommunications, finance, manufacturing and other sectors. Prior to that, he was Statistics Director for Berry Consulting, a customer relationship management consultancy. He established and led the statistics team, and managed all analytical modelling projects for Berry’s clients. His most significant achievement was the development of the first individual-level segmentation for consumer financial services. Barry is a regular speaker at industry events on marketing analytics, geodemographics and the population census. He has written many papers, and his book Geodemographics for Marketers was published at the start of 2016. He founded and chairs the Market Research Society Census & Geodemographics Group, a leading voice in the information industry for more than 25 years.